Client Feedback – 4 frequently asked questions clients ask about the Animated Explainer Video Process. 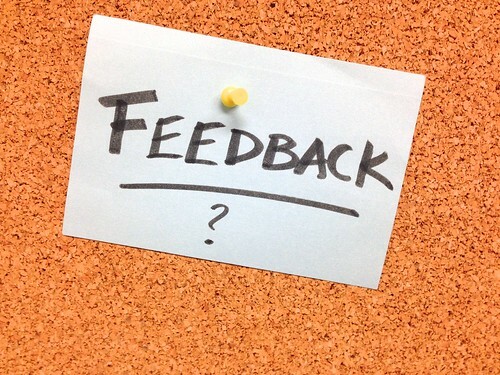 Practical Concerns on Feedback on Animated Explainer Video Process & Giving Feedback. 1.What if someone insists on changes? That is all part of the process. An agency will be clear on the key milestones, so all feedback can be integrated before they advance to the next stage. Make as many changes as you need at each of these sign-off points. 2. What if something isn’t right? If change is still needed after a stage has been signed off (perhaps because someone is seeing it for the first time), the agency may charge a fee. One stage feeds the next, so in all likelihood the change will require extra work to be done. The surest way to avoid this happening is to ensure senior people are seeing the creative as the project progresses. 3. What if I don’t like the video? If you’ve chosen an agency with a strong creative process, this is extremely unlikely. If you’ve chosen to create an animation, the visual storyboard alone shows you precisely what the animation will look like, before it’s been put in motion. Although a little harder to envision, film sketched storyboards will give you a clear understanding of how the video will flow. Of course, once the video is complete, you’ll have the feedback on the animation moves or editing of the footage. 4.What if my boss doesn’t like the video, at the final stages? This danger increases when your boss isn’t seeing the project until the closing stages. Exercise your discretion, but get them involved sooner rather than later. The script and visual storyboard are good stages to draw them in; before the agency advances to a stage where it is harder to backtrack. At visual storyboard stage, it’s key to convey that this is not an approximation. It’s exactly what it will look like. Nicola worked in digital marketing in-house for big-name publishing companies for 20 years (Amazon, Bloomsbury, BCA). She came to work for Curveball Media, after becoming a convert to video, and advises clients on strategy and approach. 0 Comments to "4 Frequently Asked Questions about Animated Explainer Video Process: Client Feedback"